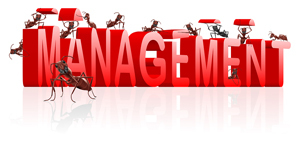 Great Managers are Passionate: There are very few things that are more damaging to the overall morale in an office than a manager who is obviously bored or lacks enthusiasm for their job. After all, if your boss doesn't care about the company why should you? Exceptional managers, on the other hand, are passionate about what they do. Not only do they believe in what they're trying to accomplish, they have fun doing it. Passion and energy helps to propel the entire team into action! After all, excitement is contagious! Conversely, so is lethargy. It's critical that you seek individuals who are naturally able to motivate others by displaying a sense of excellence through excitement and passion. Build a positive culture in your business by making it a leading quality you seek in potential managers. Integrity is Everything: A great leader needs to have a solid moral compass. Some managers will not hesitate to throw their employees under the bus. Great managers however, will prevent people from being run over. Managers who lead with integrity do their best to provide instruction by acting as a coach or mentor. Sometimes, a boss will clean up employees' messes without them even being aware of their mistakes. If they are unable to prevent the bus from approaching, they would rather take the hit than let their employees fall. If you have ever worked with a manager with this level of integrity, consider yourself very lucky indeed. Integrity-driven managers set an example that quality employees will naturally strive to rise to the same level. Memorable Managers Know When to Say No: There is a time and a place for everything. Sometimes it's important for one project to take a backseat because something else is simply more important. In keeping their eye on the main goal, a good leader is able to recognize what needs to happen, vocalize their opinion, and ensure that everyone stays on the correct path. Not only are these people able to tell their employees no, they also have the strength to tell themselves no. They never let themselves give up, even when it might seem like nothing is working out. They're able to tune out distractions, and they motivate themselves to walk that extra mile in order to achieve the goals that best serve the company. Knowing when NOT to do something is just as important as jumping on a project prematurely or when other tasks should take priority. No. A little word that gets things done. Additionally, exceptional managers and supervisors feel comfortable in their own skin. Essentially, great managers are human just like everyone else, and they are not afraid to show it. They recognize the importance of relating to people and know how to keep their emotions in check. When they do make a mistake (like everyone does, on occasion), they aren't afraid to admit it. Instead they choose to lead by example, showing others how to learn from their mistakes before moving on. Their work is a team effort, and others will always be appropriately recognized for their contributions at the end of the day. On this same note, they do not keep things from their employees just for the sake of secrecy. Rather than hoard information in the hopes of gaining power, they are happy to share both knowledge and information generously. Managerial styles that are based on inspiring, mentoring, and teaching, will cultivate these characteristics in others. Your employees will be better people for it, and your company will be built on a solid foundation that will be better suited to survive tumultuous times.